If you were to ask the next ten people you meet what homeowners insurance covers, they will all most likely tell you that it is designed to protect you and your family (and your lender) from loss in the event that your home becomes damaged or destroyed in a disaster. And while this is true, that’s not all it can do. Most homeowners insurance policies are far from one trick ponies and have clauses that cover things that you weren’t even aware of. Here are a few of the things that might be hiding in your homeowners insurance policy. Most people are aware that a homeowner’s policy will cover their belongings while they are in your home. But did you know that some policies will cover your property no matter where you take it? That’s right, a certain percentage of your property may be covered if you take it with you on vacation or other outing. This means that if the fancy camera you bought to take pictures on your vacation accidentally takes a dip in the pool, you don’t have to pay for a replacement out of your own pocket. You can turn it in on your insurance and the cost of replacement will be covered. It also means that if your laptop is lost or stolen, it can be replaced as well. As a matter of fact, just about anything can be replaced, with the exception of certain high value items such as jewelry, will be covered up to a specified limit in your policy. High value items can also be covered, but most will need to be appraised and have an additional policy taken out to cover them. What’s even more is that many policies will cover personal property left in your car. Most auto insurance policies are very limited in scope regarding what is covered outside of the actual vehicle. However, if you have an aftermarket stereo and speakers or if you leave your cell phone in your car and it is stolen, you can claim it on your homeowners policy. Are you planning to hold a special event at your home such as a wedding or family reunion? If so, your homeowners insurance policy will provide liability insurance that will protect you in the event that something goes wrong and someone gets hurt or you get sued. This extension of liability coverage may be automatic. However, you will need to check to ensure that this policy is in place well before the event is set to begin to make sure that you don’t need to take out additional coverage. Did you know that your landscaping is also insured? Trees, bushes, and other landscaping elements are covered under your insurance policy. That means if you have a tree that is struck by lightning and experiences damage, that you can be compensated for the loss and cost to replace. In addition, if you have a tree that falls and damages someone else’s property, that damage is covered as well. You can take advantage of many of these benefits as well, even if you aren’t a homeowner. Many of these things are also available in renter’s insurance policies. While renter’s insurance is optional for most, many people do not realize all of the coverage they are missing by not having a renters policy. If you need homeowners insurance East Setauket NY or renters insurance East Setauket NY, consider talking to a local insurance agent who can take the time to discuss your needs and make recommendations based on your unique situation. 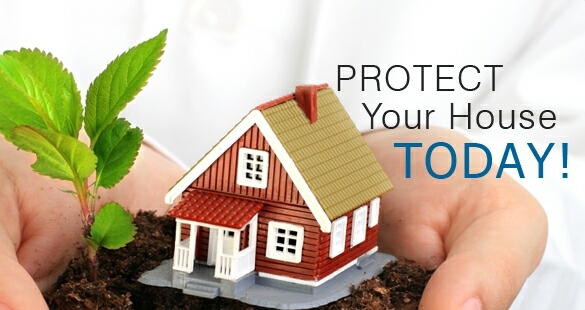 Most offer free home insurance quotes East Setauket NY.